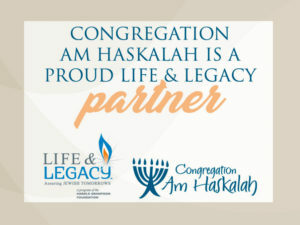 We welcome you to apply for membership with Am Haskalah. Every member is a wonderful addition to our warm and vibrant community. We embrace diversity, and we are a welcoming place for Jews of all backgrounds, and of various religious and political philosophies. We respect the privacy of your personal finances and we never ask you to send any personal information to us. Based on the principle that everyone should contribute to the community, we ask everyone to start by giving $18 (this is based on the Half-shekel that every Jew was required to tithe to the Temple in the Torah). We do not turn anyone away because of inability to pay. Contact our administrator at amhaskalahdirector@gmail.com for assistance. Current members can download our Annual Pledge Commitment Form and member letter. You can also download just the Worksheet. New members can download the New Member Application (PDF version) by clicking here or the New Member Application (DOC version) by clicking here. For those who hold primary membership in another congregation our Associate Membership is $400.